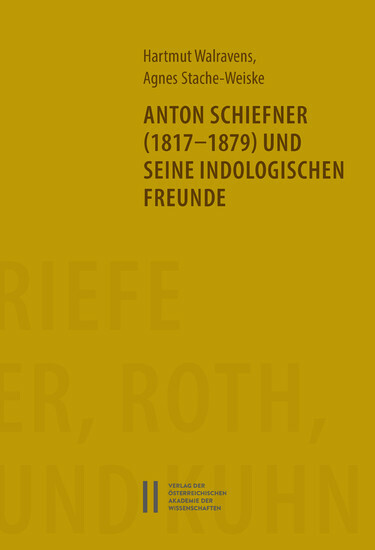 Anton Schiefner was one of the most talented and best-connected linguists of the 19th century. Born at Reval (now Tallinn), as the son of a Bohemian glass merchant, he studied law and philology, taught the classical languages at Saint Petersburg and worked there also as librarian and member of the Imperial Academy of Sciences. He became the successor to Isaak Jakob Schmidt as an expert in Tibetan and achieved reputation as editor of the collected works of the Finnish ethnologist Matthias Alexander Castrén, as translator of the Finnish national epic Kalevala and the heroic songs of the Minussinsk Tatars into metric German, and as editor of the Turkic oral folk traditions collected by Friedrich Wilhelm Radloff in Central Asia. In addition he studied Finnic languages in Russia and revised and edited Baron Peter von Uslar's pioneer collections of Caucasian language material. He was good friends with many linguists and folklorists of his time, such as Otto von Böhtlingk, Rudolf Roth, Albrecht Weber, Adalbert Kuhn and Bernhard Jülg. Many of his often long and detailed letters to his colleagues are still extant and are an interesting source for the history of linguistic and Oriental study of the period. Schiefner, as a seasoned traveler, was not only in contact with scholars in Central Europe but in France and Great Britain as well. The present edition of letters is copiously annotated, enriched with portraits of the correspondents while an index facilitates access.